An must-have to entertain Baby ! Funny, Baby shakes it to see and hear the multicoloured balls clashing on eachother. 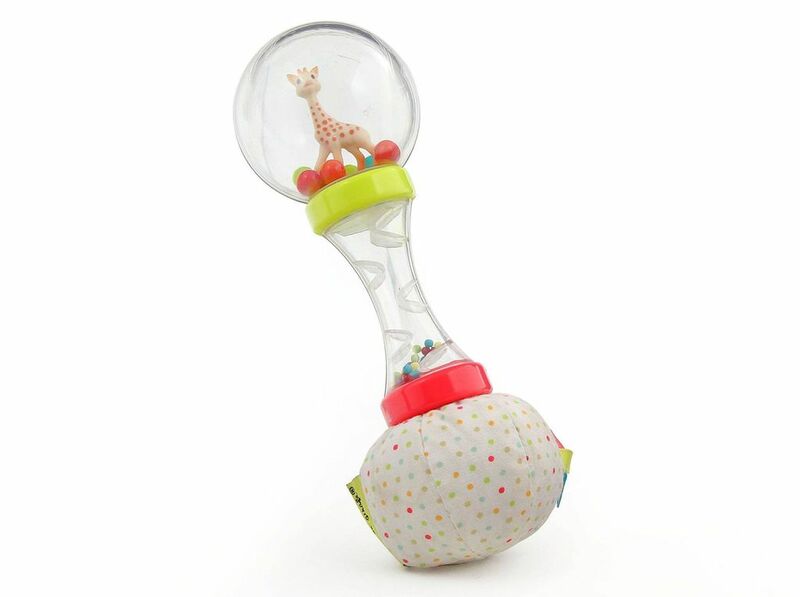 To discover : A rain-stick and coloured balls that turn around Sophie la girafe. Smart, the textile ball stimulates Baby thanks to the wrinkled paper sound and textured little tags. To handle without moderation with the ﬁngers and or the mouth !